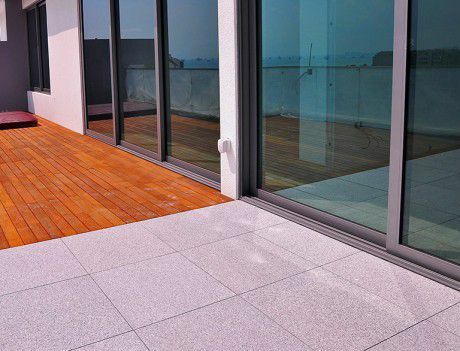 VersiPave® GP is a lightweight, high strength plastic paver support designed to eliminate the use of sand when laying pavers, resulting in reduced weight-bearing loads on building structures. 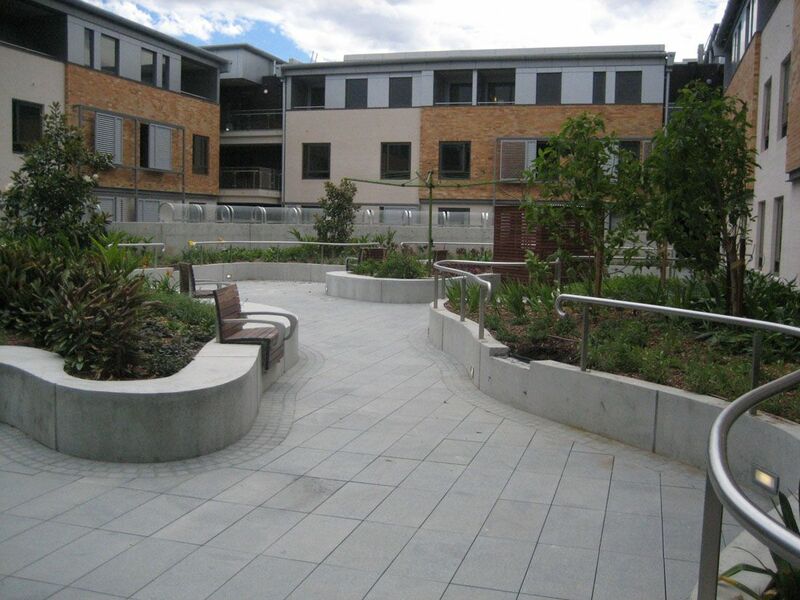 VersiPave® GP paver supports are used in the construction of roofs, plaza decks, balconies, pool surrounds, reflective pools and verandas. VersiPave® GP incorporates integrated snap-on chocks, each adjustable in height from 24 mm to 34 mm. The height may be increased with the use of proprietary “extenders”. 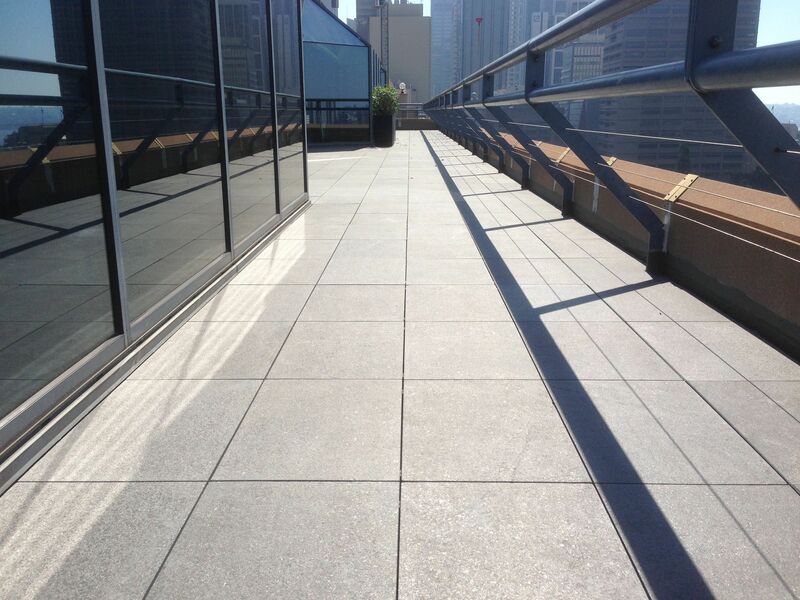 VersiPave® GP allows the easy placement of most pavers such as granite, marble, precast concrete and porcelain where a well drained and level surface is required. VersiPave® GP reduces sound transmission, increases heat insulation and allows unsightly services to be concealed within the cavity under the elevated platform allowing easy access to waterproofing membranes and services, when required. 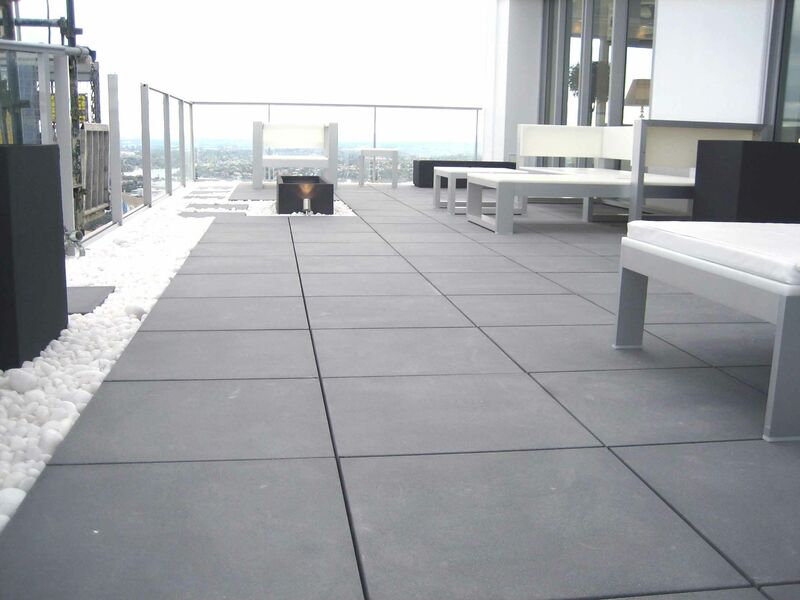 * Any product warranty for VersiPave is voided where pavers are supported beyond 35mm without the use of Elmich proprietary extenders. VersiPave® GP consists of a circular base divided into quadrants. Each pedestal has a 24 mm high raised rectangular support. Where required, the height of each support is adjustable in increments of approximately 1 mm up to 34 mm high and is easily extended up to 150 mm using proprietary 10 mm and 30 mm VersiPave® GP Extenders. Measure the total area to be paved to determine the number of pavers and VersiPave® GP required. One VersiPave® GP unit is required for each paver to be supported. Mark the intersection of the corners of each paver to be laid. Pack up to leveling line with VersiPave® Extenders, if necessary. Where free edges and corners are to be supported, break the VersiPave® GP along the quadrant line. Place VersiPave® GP units on the positions marked out on the surface to be paved. 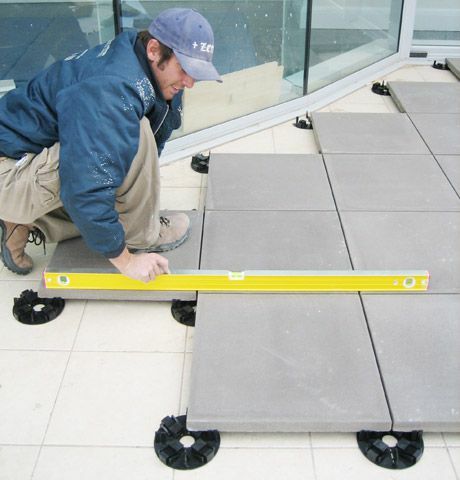 Place the pavers into place on each VersiPave® GP and simply adjust the chocks on the supports to ensure each paver is level.